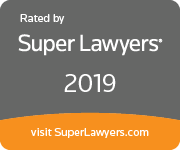 Super Lawyers® has named 31 Modrall Sperling attorneys to its list of 2019 Southwest Super Lawyers. Four were named to the list of Top 25 New Mexico Super Lawyers: Stuart Butzier, John Cooney, James M. Parker and Lynn Slade. Stuart Butzier has assisted mining, energy, high-tech, industrial and ranching clients throughout his thirty year legal career. His counsel has included helping clients navigate the maze of environmental and mining regulatory and permitting regimes, the morass of litigation, and the unique challenges of complex deals and real property transactions involving private, Federal, State, Indian and split-estate lands. John Cooney has more than forty years’ experience representing clients in a wide variety of matters including contract disputes, mineral title disputes, royalty disputes, class actions, taxation of natural resources, and antitrust cases. John has presented oral arguments in the United States Supreme Court, is a Fellow in the American College of Trial Lawyers, and former President of the State Bar of New Mexico. James M. Parker brings almost 50 years’ experience to his clients in the areas of federal taxation, estate planning, employee benefits, and health care law. Jim enjoys a strong client following among family businesses, professional practice groups and corporate clients. He has made presentations at the University of New Mexico’s Anderson School of Management, the New Mexico Estate Planning Council, and the Santa Fe Estate Planning Council. Lynn Slade has served his clients’ needs addressing Federal Indian law and Native American law, energy, natural resources, environmental law, project development, complex litigation and transactions for over 30 years. He advises and counsels natural resource and energy developers, financial institutions, utilities, and other businesses in transactions and project development, including extensive involvement with renewable energy projects.